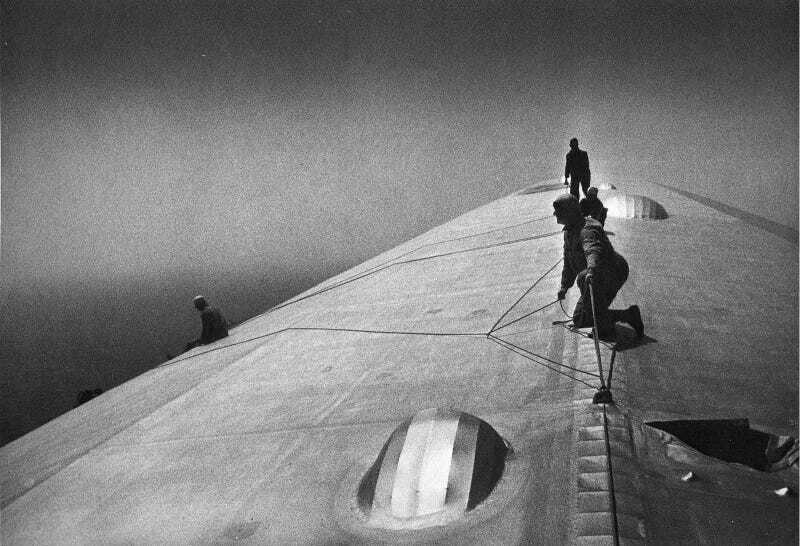 German photographer Alfred Eisenstaedt—one of the greatest artists in the history of the medium—used his Leica to take this stunning photo of a crew repairing the Graf Zeppelin in mid-air, after a storm in the middle of the Atlantic damaged the airship's skin en route to Rio de Janeiro in 1934. It looks so surreal—like a Magritte painting. If you don't know Eisenstaedt, maybe you know another one of his photographs, taken during the celebrations of V-J Day, when victory was declared over Japan at the end of World War II. You can read this old feature about him in Life.